The second most important Chinese traditional festival – Mid-Autumn Festival in coming which falls on Spetemebr 15, 2016 (celebrated on month 8 day 15 of China’s lunar calendar). 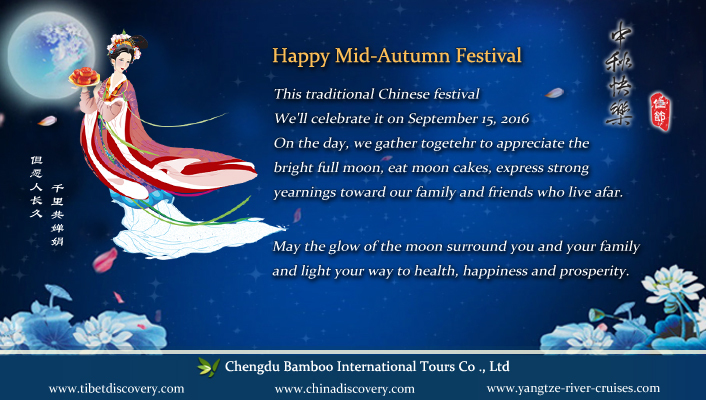 May you a happy Mid-Autumn Festival when traveling in China or have a nice time with your family at home. This entry was posted in China Travel News and tagged China Autumn Travel, Chinese Culture, Traditional Festival by daisy. Bookmark the permalink.